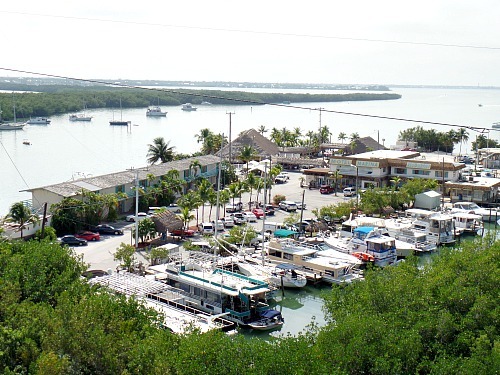 Upper Keys marinas are scattered throughout Key Largo, Tavernier and Islamorada Florida. 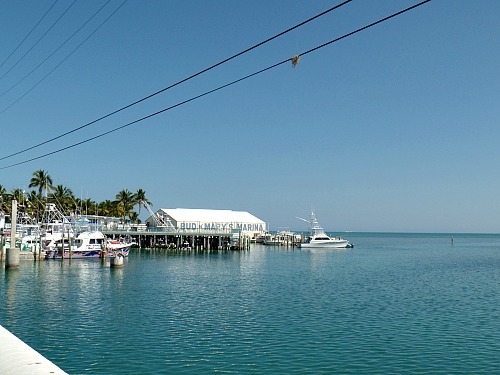 One of the more popular marina destinations with Florida Keys boaters is Whale Harbor. This is located at the southern end of Whale Harbor Bridge on Upper Matecumbe Key. Situated in Islamorada Florida, it's perfectly positioned in the heart of some of the best fishing the Florida Keys has to offer. This smaller harbor is also best suited for vessels that are 45 feet and under in length. However, occasionally a 60 foot vessel will be seen that somehow has snugged itself in, and then managed to turn itself around. 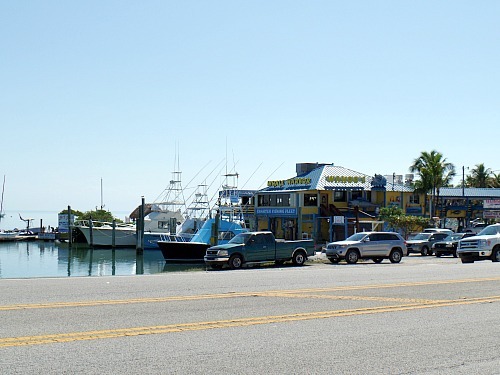 Whale Harbor Marina is more of a Florida Keys boat rental and charter company as opposed to a liveaboard Florida Keys destination marina like Boot Key Harbor City Marina. Typically, the vessels that frequent Whale Harbor Marina are primarily smaller, local craft. Space is very limited for transient vessels, and this is not a long term stay harbor. Transient boats will find that they can tie off for a few hours for some well deserved Florida Keys rest and relaxation, before having to head out to another of the other Upper Keys marinas. However, it's worth a stop if space is available simply because of the services provided. The charm of Whale Harbor are it's amenities and it's amazing views. There are several good restaurants that take advantage of the area's beauty, while serving up tasty seafood and other fresh fare. There's also a sports bar with a large outdoor seating area and a fantastic view. You can kick back and relax with a cool one, or catch a game on one of their many flat screen TV's. The Harbor also has Florida Keys fishing charters available. This will allow you to experience first hand the reason why Islamorada FL is considered the sportsfishing capital of the world. The listings below are of the Upper Keys marinas found throughout the area from Key Largo to Islamorada Florida. 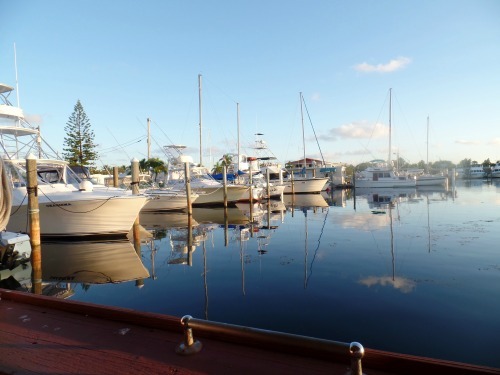 You'll notice that these Upper Keys marinas also provide different services and amenities. Some are all inclusive, while others are designed to be a quick stopping off point so you can enjoy a specific, local Florida Keys event or activity. The different Upper Keys marinas have been arranged geographically north to south by their region. The individual Florida Keys marina listings for each region are then organized alphabetically. The Florida Keys marina GPS coordinates are designed to get you get close to your destination, but as always there can be wiggle room with GPS coordinates. Before heading out, please take the time to contact any of the Upper Keys marinas in the Key Largo to Islamorada area you may be considering. This way you can check to see if these particular Upper Keys marinas provide the services you need. If they do, then check to make sure they have space available for you. The Upper Keys marinas are spread out over a convenient swath from Key Largo to Islamorada Florida. You should be able to find at least a few Florida Keys marinas that will provide the different services you'll need. Also, if you discover any worthwhile marinas not listed in the Key Largo to Islamorada area, let us know so we can add the listing to our Florida Keys Marinas Directory.